Thank fot your help. Im installing EFI module named "NvmExpressDxE_2" after fat DXE driver. I found another module called NVME. Should I delete it? It`s correct? Im installing EFI module named "NvmExpressDxE_2" after fat DXE driver. I found another module called NVME. This indicates, that the current BIOS of your laptop natively supports NVMe. Obviously the manufacturer of the laptop has inserted the needed NVMe EFI module. If I were you, I would not modify the BIOS at all and try to get the Samsung 960 EVO booting in UEFI mode. The modding procedure itself is not the problem, but flashing a modded BIOS into a laptop is risky and may end with a bricked resp. unusable device. I never thought the installation needed so many tweaks. 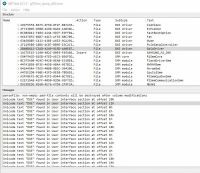 CSM enable or disable works the same, as long as UEFI is set. Tried to connect 940 and doesn't seem to be any problem. At boot menu, I just need to select 940 or 960 and either one boots just fine. Even tried to install Windows 8.1 and worked as well as Windows 10. Hope my report is useful to anyone. Fernando, thank you very much for your help! I spent HOURS with this sittuation. Funny thing is that I read your instructions all the way carefully, but stopped at chapter 6 because I never thought that some measures had to be made. It is fine, that you finally succeeded and got your NVMe SSD booting. That was the mistake. Using the NTFS file system for the USB Pen Drive works fine, but only if you want to install the OS in Legacy mode. If you want to install the OS in UEFI mode (and you have to do it to get the NVMe SSD booting), you have to use the FAT32 file system. I spent HOURS with this sittuation. Your experience verifies, that it is a good idea to read the complete guide before starting with the processing. Enjoy your updated system and the performance of your NVMe SSD! I've been reading about 960 EVO booting in UEFI mode, but I have not found anything about my laptop and this hard drive. However, if I do not detect it in the bios, I can use it as uefi ?. About the native driver that I have of nvme, is it very risky to change it to a more modern one or modify the one that has to use NvmExpressDxE_2.ffs? However, if I do not detect it in the bios, I can use it as uefi ? 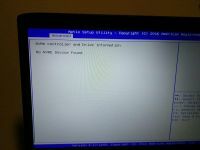 If the BIOS should not detect a specific Disk Drive, you cannot boot off it. On the other hand NVMe SSDs are not shown at all within the UEFI BIOS of older systems, although they may have been detected and will be usable (only by booting in UEFI mode). The BIOS modification itself is easy and not risky at all (if being done correctly), but the dangerous procedure is the flashing of a modded BIOS into the BIOS chip of any Mobile system. That is why I gave you the advice to test the installation of Win10 in UEFI mode onto your NVMe SSD (after having temporarily removed your current system drive) without touching the original BIOS of your laptop. I have MSI Z77A-GD80 motherboard with Intel i7-3770K processor. 1. Will that work together? 2. Is this method valid: http://www.overclock.net/t/1571271/tutor...n-intel-chipset ? 3. Should I import NvmExpressDxE_2.ffs into latest BIOS for my motherboard (MSI Z77A-GD80) or 3 ffs files (Nvme.ffs, NvmeSmm.ffs and NVMEINT13.ffs) extracted from the latest BIOS for MSI Z97-GD65 GAMING ? 4. If I use MMTool 4.50.0.23 to insert fffs (NvmExpressDxE_2.ffs or 3 ones from MSI Z97-GD65 GAMING BIOS) do I need to insert them in CSMCORE module in latest BIOS for my motherboard (MSI Z77A-GD80) or ... ? No, the linked guide written by rootmoto was based on my first test results dated 06/28/2015 (look >here<) and are not valid anymore. The currently valid guide is layed down within the start post of this thread and will be updated, if there are any new insights. I recommend to do it according to my guide (= start post of this thread). You should better follow my guide (= start post of this thread). I read your 1st post and I inserted NvmExpressDxE_2.ffs into latest BIOS for my motherboard (MSI Z77A-GD80) using UEFITool.exe. There is an extra file (Row file) inside NvmExpressDxE_2 tree (structure). Is it normal? You can see result in this screenshot. Please put the original and the modded BIOS into a *.zip or *.rar archive and attach both archives. Then I will do a deeper look into both of them. 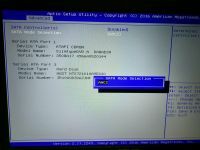 Here are 2 rar files with original and modded BIOS for MSI Z77A-GD80. BTW, MSI BIOS files do not have extension. Then I realised, that the "Raw" file, which is listed directly below the inserted module, doesn't belong to the module, but obviously has automaticly been added by the UEFITool (for whatever reason, but the tool knows what it does!). Conclusion: You have done everything correctly and can flash the modded BIOS without fearing, that you have done a mistake. Fernando, thank you very much! I'll get Samsung 960 EVO next week and I'll post result here. Can you give any explain or post, to try the installation of Win10 in UEFI mode. I can't found any information. Have you already read the entire start post of this thread?